Coming to a land famous for jamón (ham) can be a little daunting for vegetarians. 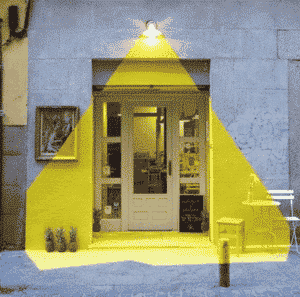 But have no fear, here at Citylife we compiled a guide for both foods and restaurants so that anyone and everyone can eat their way through the Spanish capital. If you’re vegan, then check our our vegan food guide here! What’s great about this dish is that almost every single Spanish bar has tortilla. 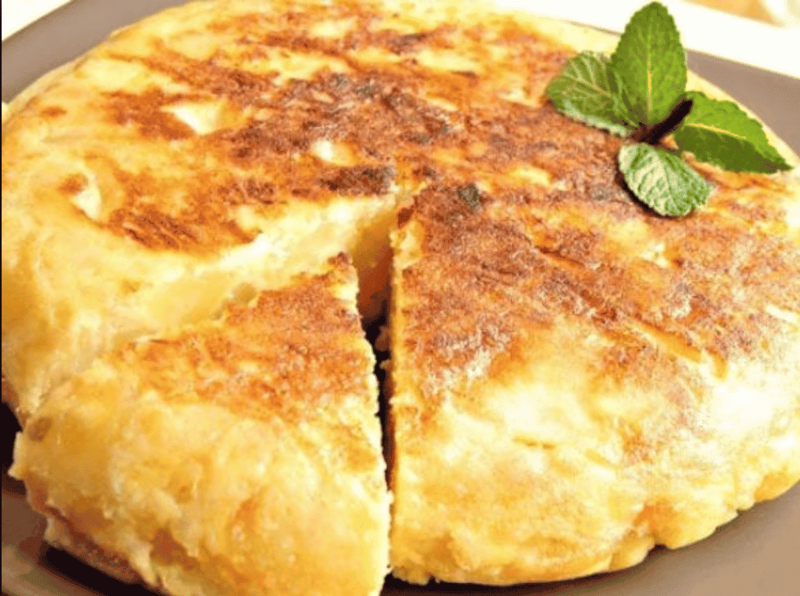 There are two options, Tortilla Española and Tortilla Francesa. The French one is a thin omelet, scrambled and usually put on a bocadillo (large sandwich). 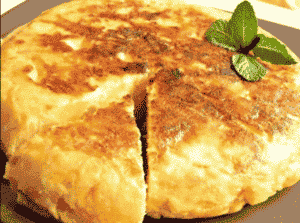 The other option, Española, is like a really thick omelet with potatoes and generally onions. Every restaurant makes it a little different. It is usually served plain with some bread on the side or on a bocadillo, either way, it is so delicious! Bravas are in our opinion, the best veggie, sharing tapa. You will find crispy fried potatoes with a scrumptious sauce to top it off. 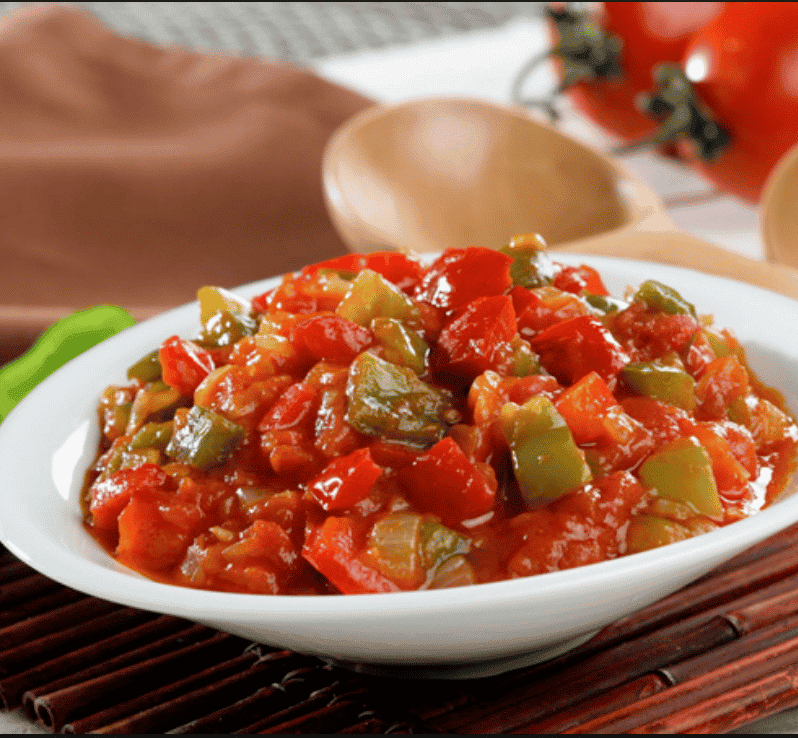 The sauce can be made out of many ingredients ranging from red peppers, alioli, tomatoes, or onions. 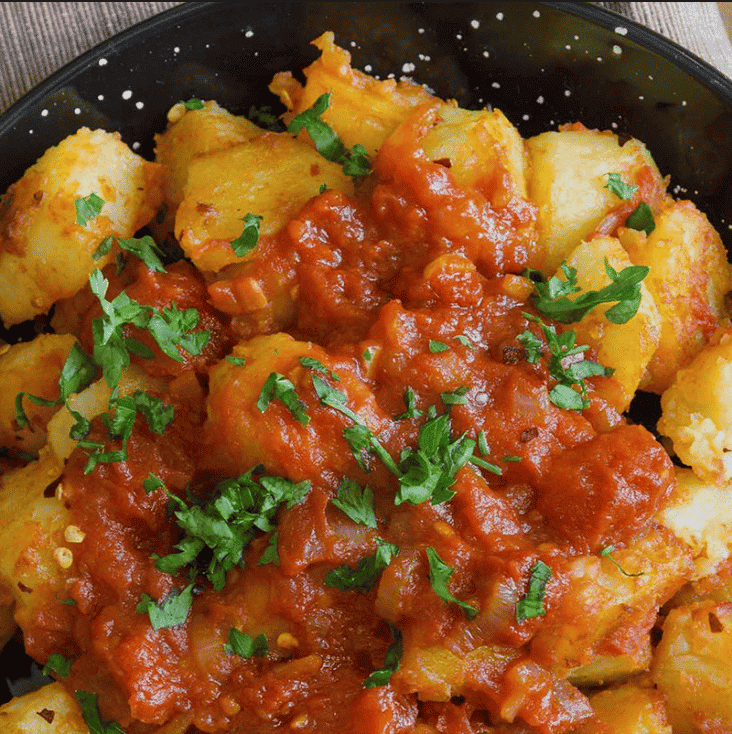 The dish can also get a little spicy depending on the restaurant so ask the waiter about their bravas before ordering if you are sensitive to spices. Bravas are also often paired with an alioli mixture so if you like mayonnaise I would also recommend that variation. This dish is quite special because not only is it delicious but it’s almost like a dessert. 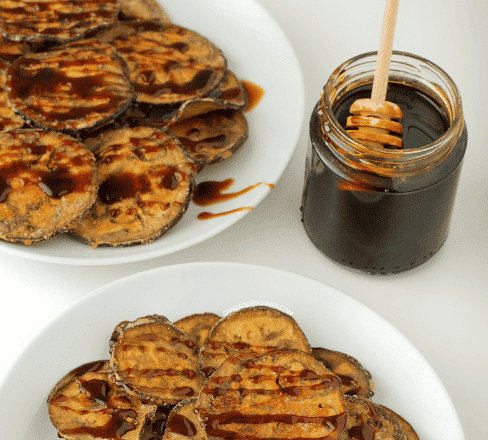 The berenjena (eggplant) is thinly sliced and fried to crispy perfection. Then sweet honey is drizzled on top and voila, the best vegetable you’ve ever had for dessert! 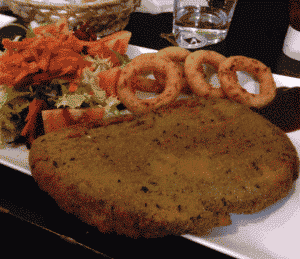 This dish is a little harder to find because while almost all Spanish restaurants have croquetas, the majority of them are made out of either fish or pork. 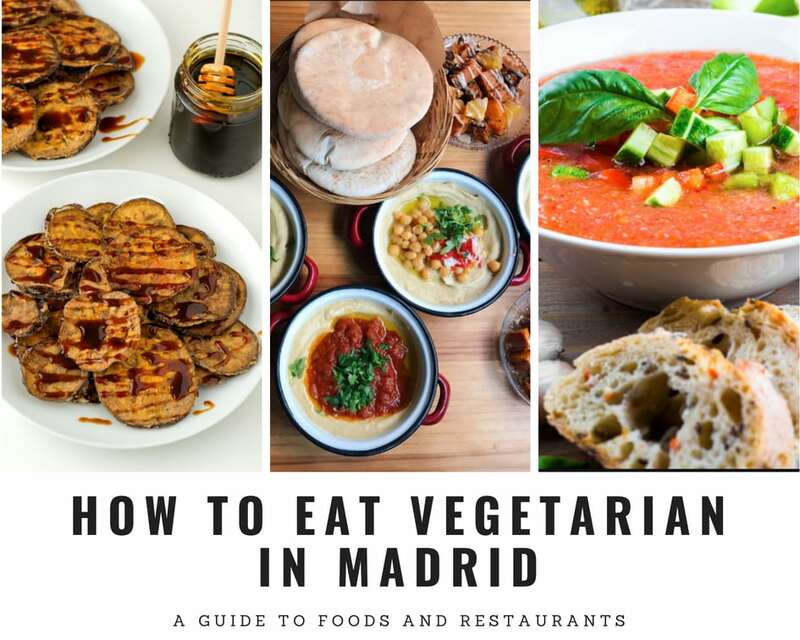 The good news is that there are several restaurants in Madrid that offer vegetarian versions with mushrooms, zucchini, spinach, or cheese. 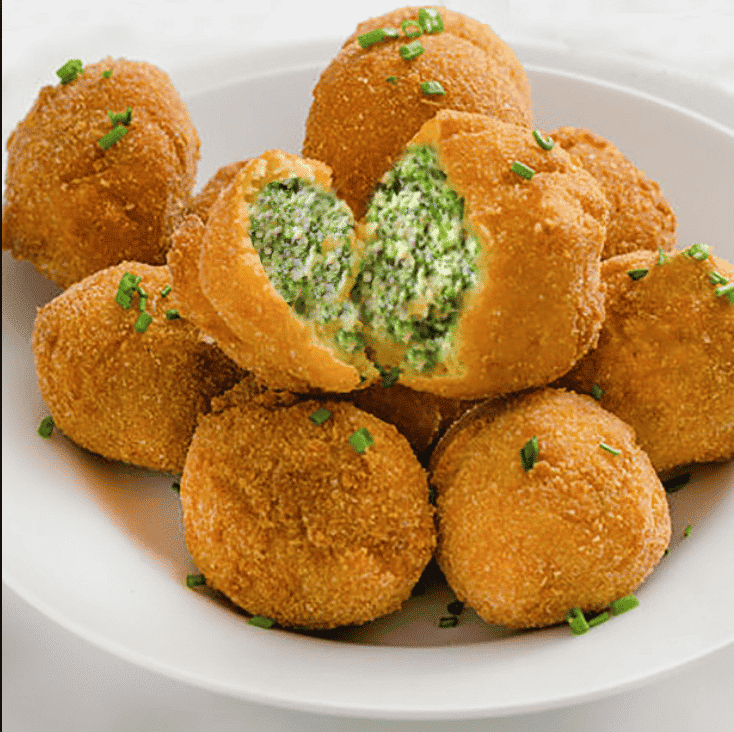 What exactly are croquetas? Fried happiness? Little nugget balls of deliciousness? Pisto is a yummy mixture of veggies. Ranging from onions, peppers, zucchini, squash, and more. It is a sauteed dish that can be served hot or cold, depending on the season. It also usually comes with a fried egg. It should be vegan without the egg but double check and ask the waiter before ordering it. 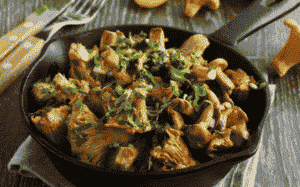 This is a dish for mushroom lovers! Sauteed in oil, garlic, and spices, this is another great dish to pick at with your friends. It should also be vegan, just check with the wait staff. 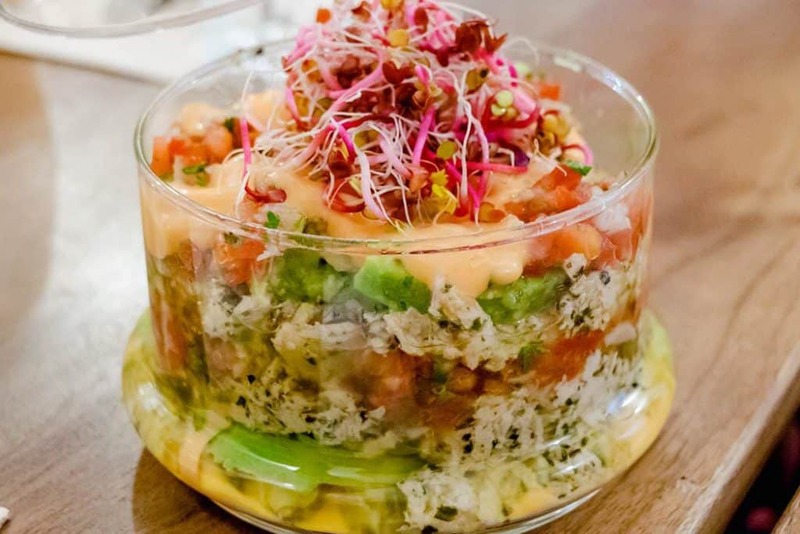 This cute little vegan cafe located in Las Letras, a neighborhood known for its literary arts and writers, is a real find when it comes to homemade, flavorful foods. It’s the perfect place to stop for lunch and then head to some of Madrid’s famous museums that are right around the corner. 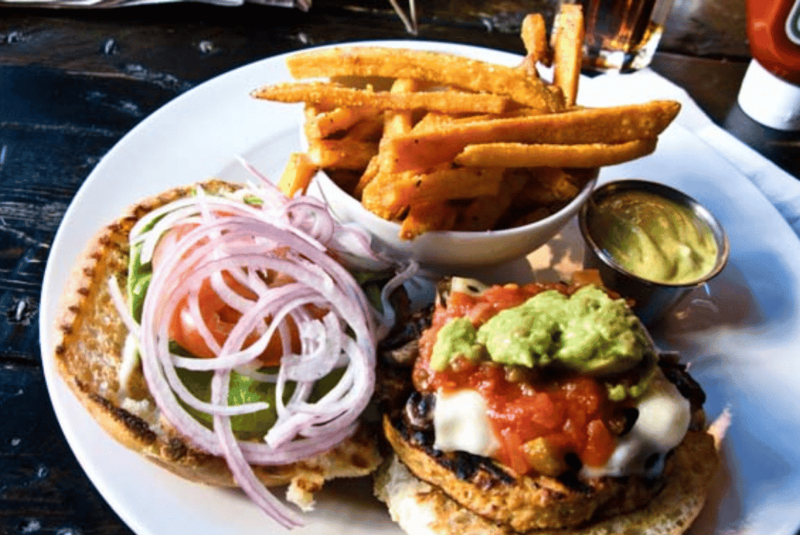 Located in the trendy neighborhood of La Latina, this place offers many superstar burgers that are bursting with savory flavors and combinations. Give this place a try for the best veggie and vegan burgers in town. This is our most affordable recommendation. Usually packed with awaiting, hungry visitors, this restaurant is a must! Tempeh and Seitan steak, sandwiches, and more are just the beginning of their mouth-watering menu. Make sure to give this place a visit. 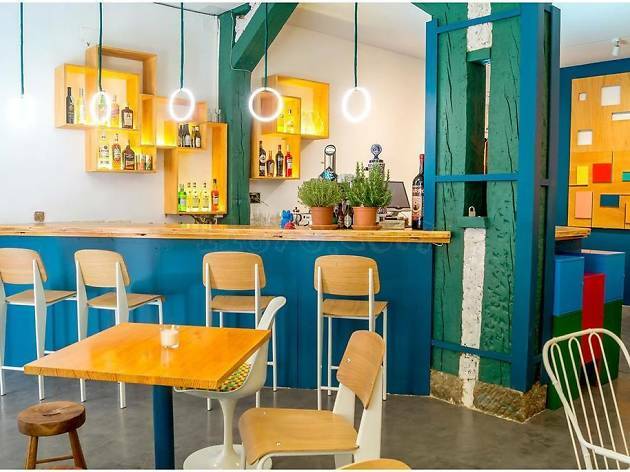 Boarding the very fashionable neighborhoods of Chueca and Malasaña, this fantastic restaurant opened its doors in 2015. It serves five staple hummuses as its foundation and accompanies them with great veggie tapas that are wonderful for munching on or dip in the hummus. 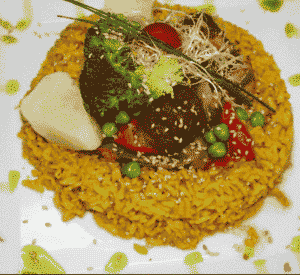 This restaurant is one of the veterans and pioneers of the veggie restaurant business. After many years, they still have their touch for creating amazing dishes that will fill both one’s belly and heart with happiness. 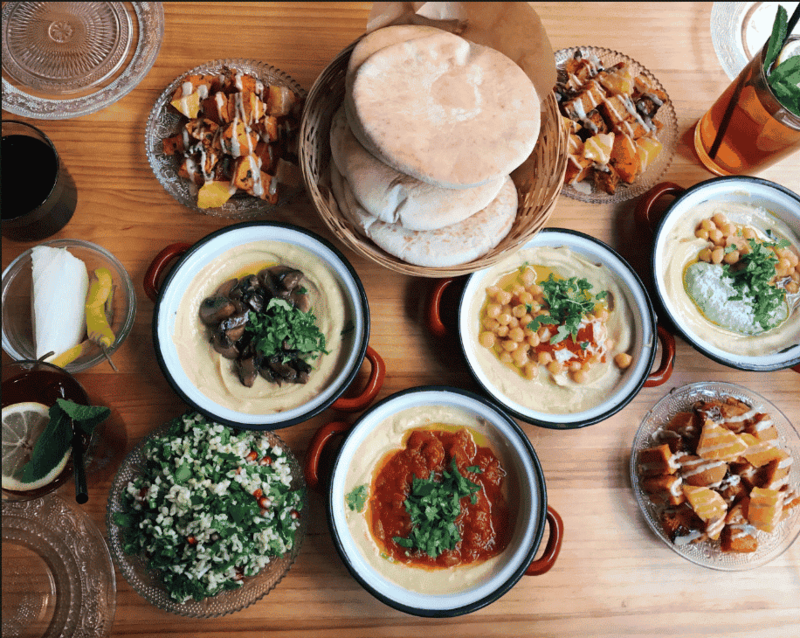 This lovely little cafe has two locations to choose from, both upholding the founder’s goals of healthy, delicious dishes that will leave everyone satisfied. From noodles to lasagna, burgers, and more this restaurant is an awesome choice for both vegans and vegetarians. This restaurant is one of the dreams of Michelin star chef Nacho Sánchez. 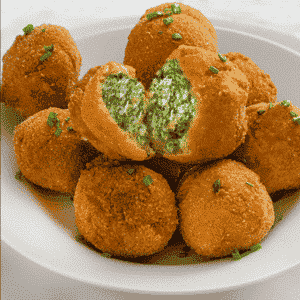 It’s a deliciously beautiful blend of vegetarian/vegan cuisine and Italian. Whether it’s boletus and truffle risotto or purple potato gnocchi with pumpkin sauce, there are many mouth-watering options to satisfy your taste buds. Being newcomers in Lavapiés hasn’t stopped Francis and Pablo from sharing their secrets of their maternal grandmother Carlota with all the world. And trust me, it is worth a try. 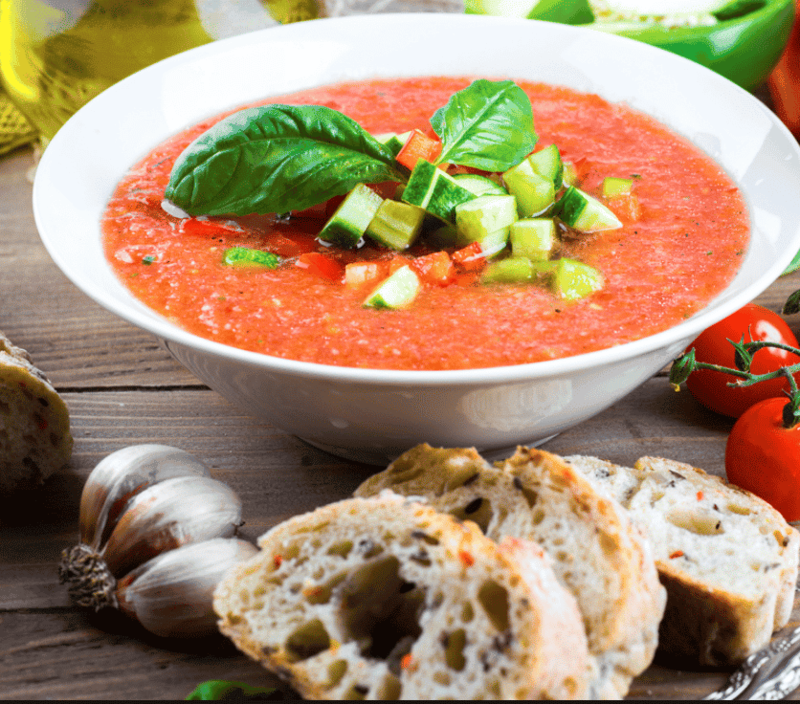 With starters inspired from all around the world, this restaurant is a must for vegetarians and vegans! We hope everyone found something to their liking and enjoy Madrid!